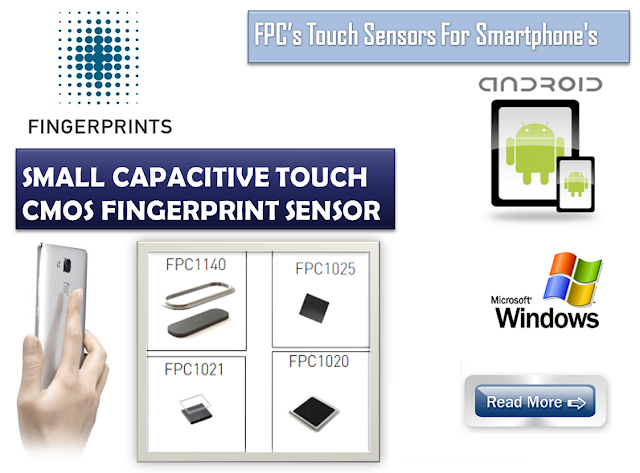 FPC is the globally leading supplier & manufactures of best quality capacitive touch fingerprint sensors in mobile phones and tablets.Many mobile manufacturers leverage the benefits of fingerprint sensors and associate key services to the FPC’s sensors. Apply in movement detection and track pads. Their technology can also work on single layer ITO touch screens, miniature touchpad’s for remote controls and wearable devices. Touch screens in mobile devices are interface between users and devices that enable an easy interaction and visual experience. FPC’s fingerprint sensors are next generation biometric solutions which can be embedded on smart device and eliminating the key button, eliminating PIN codes or passwords for fast user fingerprint identification. If you are looking FPC’s fingerprint components or sensors, Ashtopus Technologies offers a variety of fingerprint sensors and solutions .